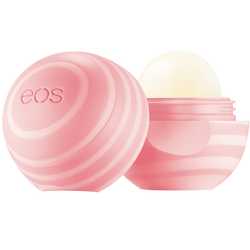 Rock a red lip as bold as you are with eos Mood Stones Dazzling Ruby Lip and Cheek Tint. 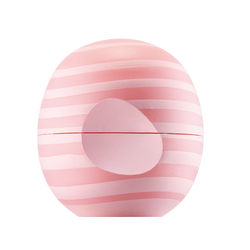 Enhance your unique aura with eos Mood Stones Lip Tint. Dazzling Ruby is inspired by the rare, Star Ruby, which is believed to inspire confidence, and made with a daring red tint and bright pearlescent finish for customizable color. Rock a red lip as bold as you are! Olea Europaea (Olive) Fruit Oil, Beeswax/Cera Alba (Cire d’abeille), Cocos Nucifera (Coconut) Oil, Alumina, Flavor (Aroma), Simmondsia Chinensis (Jojoba) Seed Oil, Butyrospermum Parkii (Shea) Butter, Ricinus Communis (Castor) Seed Oil, Tocopherol, Stevia Rebaudiana Leaf/Stem Extract, Silica, Tin Oxide, Glycine Soja (Soybean) Oil, Isopropyl Titanium Triisostearate, Titanium Dioxide(CI77891), Iron Oxide(CI77491), Red 7(CI15850), Yellow 5 (CI19140), Anisyl Alcohol1. 1 - Component of Flavor.